Miley Cyrus’ distinguished giggle at the end of the opening theme song to Disney Channel’s Hannah Montana was quickly replaced by the sound of squeaky sneakers on the basketball court. My friend and I had made it down her basement stairs just in time to catch her dad frantically grab the remote. His quick effort to mask his inner love for teenage drama with the manliness of ESPN didn’t go over so smoothly. Nice try, Mr. Glenn, but you weren’t fooling any of us. Mr. Glenn isn’t the only fellow with an embarrassing little secret. While guys in college try so desperately to appear tough and masculine, their television choices reveal otherwise. Ten college guys shared the shows that they are embarrassed to watch. HBO’s Girls was written by and stars Lena Dunham. The show revolves around the lives of four hipster women in their 20s living in New York City. Not sold? Kristen Wiig fans, listen up. Chandler Webb, a biology and studio art major at the University of Virginia, can convince you. “I watch it because Kristen Wiig’s love interest in Bridesmaids is in it and Kristen Wiig is my favorite person ever,” Webb said. Kind of a stretch, but who’s judging? 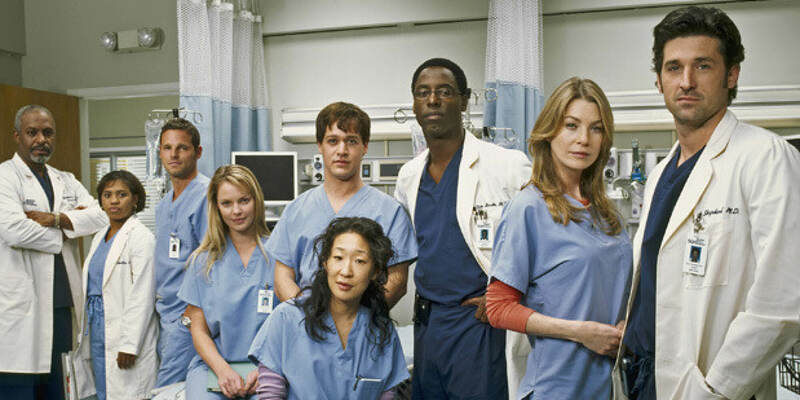 UVA architecture student Alek De Mott said, “I watch Grey’s Anatomy because of all the gross medical stuff, which I despise and can’t stand in real life.” Conveniently left out of De Mott’s response is the strong character development that leaves viewers feeling the same heartbreak the doctors face in the show. Too manly for heartbreak? Let your guard down, grab some tissues and blame the tears on your favorite sports team’s big loss. 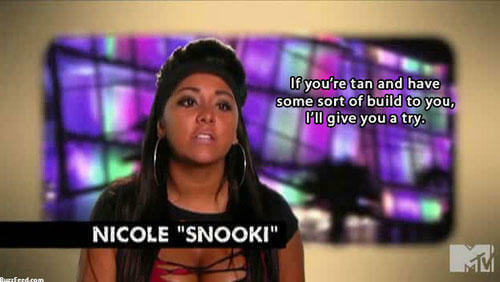 This hit reality TV show on MTV is about a group of young adults living it up on the Jersey Shore, where alcohol, tanning and secret affairs rule their small bubble of a world. What’s the appeal? According to University of Maryland student Jake Lewis, Jersey Shore is “like a train wreck that you can’t look away from.” “I’ve binge-watched whole seasons at a time and walk away with fewer brain cells, but regret nothing,” Lewis said. Who doesn’t like Betty White? White and three other women live in Miami together during their crisp golden years in this comedy in which viewers are reminded that even old women can stir up drama. “Since I have started watching it, I have found that I am actually an 85 year old woman at heart,” Towson University student Frank Donato said. 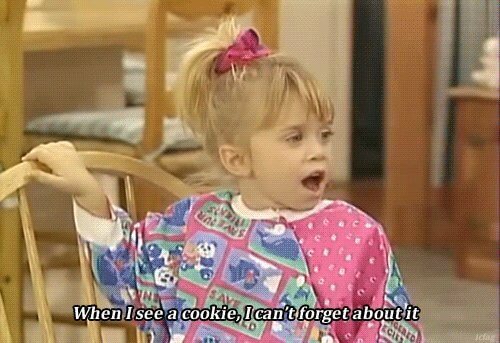 Okay, Full House was obviously a favorite for everyone at some point. Among the sea of people who grew up watching the family drama is a fan who still basks in the nostalgia of the 90s. UVA sound design for film, television and interactive media major Brandon Sangston said, “Every time that emotional music plays and Bob Saget gives some insight about growing up, I look around the room and pretend I’m not watching.” There’s no need to feel embarrassed. We are all anticipating the return of the Tanners in the 2016 Netflix Series Fuller House. When it comes to television preferences, you got it, dude! Spotted. A guy hides in his dorm room watching a show about high schoolers obsessed with balancing backstabbing and revenge with applying to Ivy League schools. Looks like someone’s got a little addiction. Gossip Girl’s latest victim, Washington & Lee student Steven Yeung, said he wouldn’t mind “growing up with all the money in the world and a guaranteed admission into an Ivy.” He said he once surprisingly found himself among a group of 11 other college guys who had all seen Gossip Girl. Maybe guys secretly like a little gossip in their lives, too. 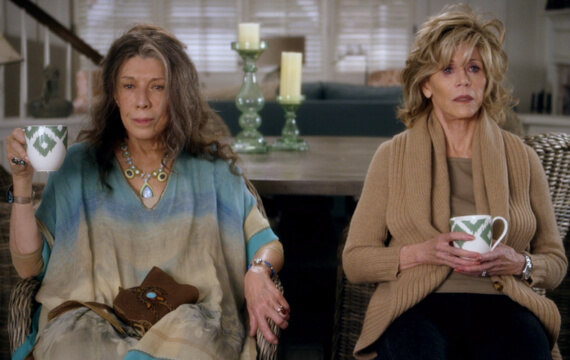 Grace and Frankie is another of Netflix’s gems that guys secretly love. The show tells the story of two women who bond after their husbands fall in love. “[The show] helped me see through the eyes of an old lady and witness how old people try to handle the changing world with smartphones and online dating,” UVA media studies student Alberto Pardo said. Reba aired in the early 2000s and focuses on a Southern soccer mom who is caught in the aftermath of her husband’s affair with a younger woman. UVA engineering student Zach Rosen said it’s a good show to watch late at night. “You can relax and make your brain work the minimum amount,” Rosen said. So after watching that intense game that went into double overtime, cool down with a spoonful of Reba. 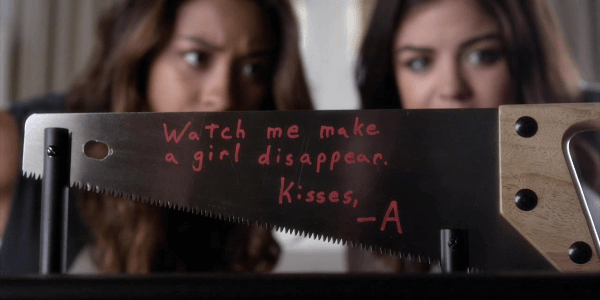 While Pretty Little Liars may have started out as an embarrassing show for college guys to watch, the plot has gradually become darker and more twisted. This ABC drama tells the story of four girls who have been tormented by a deranged “A,” who they believe killed their queen bee of a best friend. The show has a large social media following that has fans teaming up to solve the biggest mystery in the history of television: Who is “A?” As a fellow fan of the show, I would recommend this show to guys and gals alike who are secretly detectives at heart. So there you have it: Not all college guys salivate at the thought of watching ESPN all day. It’s time for us guys to crawl out from the chamber of secrets, wipe the embarrassment off our faces and embrace our guilty pleasures. After all, who doesn’t have a little secret? Dallas Simms is a third year at the University of Virginia pursuing Media Studies and Arts Administration. He enjoys kayaking, running, eating trail mix, and secretly watching Pretty Little Liars as “research” for his future screenwriting career.